BHUBANESWAR: Rooted in a luminous past, Odia cinema today stares at a future steeped in uncertainty. 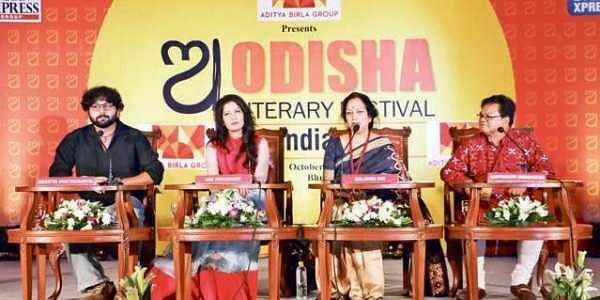 From ‘Sita Bibaha’ to cheap remakes borrowed from film industries down South, a journey of the regional film industry has been a gloomy one, said speakers at the session ‘Odia Cinema: Glorious Past but Future Uncertain’ on the second day of 6th edition of Odisha Literary Festival-2017. Senior academician-actress-poet Malabika Ray began the session by recalling the glorious past of Odia cinema that began in 1936 with ‘Sita Bibaha’ and continued till the 80s when filmmakers, musicians, lyricists came up with original work that were commercially successful and appreciated by all. “The culture of remakes has existed in all film industries, including Ollywood but currently, things have degenerated to an extent that music produced in our films are extremely vulgar, titles are bad and dialogues cheap despite the fact that Odisha is a land with rich culture, heritage and literaure,”she said. Chairing the session, independent filmmaker Amartya Bhattacharya lamented the lack of good criticism in the Odia film industry and viewership. While lack of criticism is paving way for filmmakers to pass trash in the name of cinema, people too are to be blamed for the situation as they would not spend time and money to watch an Odia film, Bhattacharya said. This apart, he said, the Odisha Government is also to be blamed as unlike Kerala, Karnataka and Maharastra Governments it does not provide subsidy to filmmakers to help them make quality cinema. Lack of dedication among actors and filmmakers is also a reason behind the uncertain future, felt three-time National awardee Sabyasachi Mohapatra. He said in the 60s, making of a film was very difficult because knowledge about technology and funding was less but the crew and actors were very dedicated. Similarly, actress Anu Choudhury felt although there is very little struggle for everyone in the industry today, things will not change unless the stakeholders realise the mistakes they are committing. While Bhattacharya urged budding filmmakers to shift to independent cinema where the future of good cinema lies, Mohapatra ended the session by asking film lovers to be optimistic about the situation. “Like Ollywood now, the Bengali and Marathi film industries also made just remakes till 10 years back, but the situation has changed now. This year’s National Award Best Film went to a Marathi film, ‘Kaasav: Turtle’. We have to realise our strengths to change the situation,” he concluded. To a query on why works of eminent Odia authors are not being adapted into movies, Ray said it is sad that the current generation of filmmakers do not realise the importance of great literature produced in the State.